Music without words – music. travel. repeat. Music in an artform whose medium is sounds and silence. Music with voices or words, is a song. You dont need voices however to have great music as we know since music has been performed for centuries without necessitating words. While you may not hear them on the radio, there are many artists across all genres that are making beautiful music without voices and here are two of my favorites. 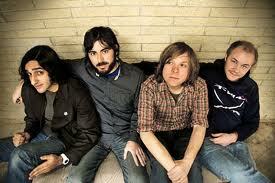 First, is Austin, Texas based band Explosions In The Sky performing “Your Hand In Mine”. Gotta love the methodical build up of this track only to have it brought right back down in the end. 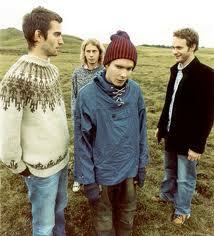 The second is legendary Icelandic band Sigur Ros performing their beautiful and haunting “Untitled Track 3”. This song actually does sneak some vocal “ooohs and ahhhs” in there but Im including it anyway because Ive been listening to this track tonight and it inspired the post 🙂 To me this is a song you put in your headphones and close your eyes and listen to and no matter what is going on around you, it makes it all slow down and moves your distractions away. Check it out, enjoy, and let me know what other lyric-less tracks you like. Think they both will be at Outside Lands..Looks I will need to check them out..they sound interesting.